This sounds like you’ll be cleaning up all the time, but that’s not true. If you keep things neat on a regular basis you won’t have to spend a lot of time cleaning up, because you’ll avoid accumulating a huge mess. 2. Make your bed every day. The few minutes it takes to make your bed goes a long way in making your entire bedroom look so much neater. You might even be inspired to clean up the rest of the room! 3. Don’t have too much stuff. The less there is the less there is to clean. 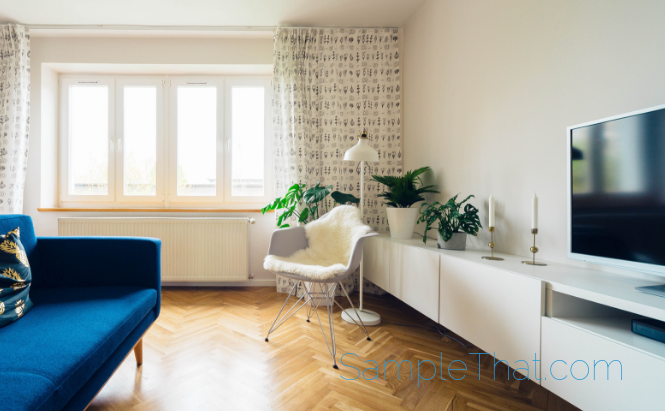 Opt for minimalist decor and you have fewer knick-knacks and art object to clean or clean around. Know what to focus on when you’re running low on time and energy. 5. Keep cleaning supplies handy. If getting the cleaning supplies you need is a hassle, you’ll be more likely to push it off. Keep them where you need them and half the problem is solved. 6. Don’t be a perfectionist. Sometimes “good enough” really is good enough. 7. Do something you enjoy at the same time. No one wants to clean the kitchen or fold the laundry, but those things have got to get done. Talking to a friend, drinking a glass of wine, or listening to music you enjoy will help make it easier. When you decide it’s time to tackle a household chore, just get right to it and don’t stop until you’re finished. 9. Put things in their places right away. This goes for shoes, clothes, coats, books, dishes- everything! It will only take a few minutes but will save you lots of cleaning time later. 10. Do some basics every day. Wiping down the kitchen counters and stove every night after dinner, cleaning the bathroom sink every couple of days, and doing a load of laundry every day are great habits that will keep things from piling up and making you feel overwhelmed. 11. Don’t let paperwork accumulate. Take care of the mail right away: get rid of junk and have a good filing system for bills and other important mail. Divide up the chores among household members and make each person responsible for his or her own things right from the beginning. This is great for teaching your kids responsibility, not to mention life-long habits that will help their homes look neat and spotless when they get older! Try adopting these habits- it will keep your home neat and clean without making you feel like you worked too hard!